Do you love Sneak Peeks as much as I do? Here's a little peek into the bold and cheerful Happiness Blooms Suite from the upcoming 2019 Stampin' Up! Occasions Catalog. How many Sneak Peeks did you spot? There are 2 new stamp sets featured on today's card. The bold and beautiful flowers are the Bloom by Bloom stamp set and the fun sentiment is a Sale-a-bration (FREE) stamp set called Part of my story. Both stamp sets are suited for both card making and scrapbooking. You'll be seeing more of both in the upcoming months. The adorable teeny flowers and leaves punches are from the Bitty Blooms Punch Pack and can be bundled with the Bloom by Bloom stamp set. Did you look close enough to spot the Happiness Blooms Enamel Dots. They are simply delicious! The Dot by Dot Embossing Folder makes me smile every time I see it. It's just so happy! Today's Card Color Combo is Pineapple Punch, Call Me Clover, Lovely Lipstick, Whisper White and a pop of Calypso Coral (Happiness Blooms Designer Paper). And that leaves us with our final Sneak Peek, the gorgeous, gorgeous Happiness Blooms Designer Paper. Speaking of Designer Papers, I am once again offering Designer Series Paper Shares from the Occasions Catalog. Find out more about this year's Paper Shares here. Speaking of Sneak Peeks and new Stampin' Up! Catalogs. My box of catalogs arrived yesterday and I am furiously working to get them into your hands. I hope to have them all delivered by next week. Stamping Country Customers (those who have placed an order with me in the 12 Months) You will automatically receive a free catalog (free shipping too) from me in December. Note: Just be aware that if you place a No Contact order, I don't know that you have placed an order with me. If you think your orders were No Contact, please let me know so I can get your catalog to you. New Customers Place an Online Order with me and I will send you a free catalog too. Past Customers, that have not been able to place an order in the last year? Contact me with to request your catalog. I'll happily get your catalogs in the mail to you. 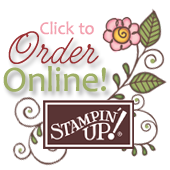 Note: CATALOGS WILL BE SENT TO THE ADDRESS LISTED IN YOUR STAMPIN’ UP! PROFILE. PLEASE BE SURE YOUR ADDRESS IS CURRENT. If you have moved, please update your address HERE. I ordered Occasions and Sale-a-brations catalogs yesterday to mail out in December! (For more details about Catalogs Click Here.) I also placed my demonstrator Preorder. I love preorders. That also reminded me that it's time to talk a Occasions Catalog 2019 Paper Shares. I'll be offering Stampin' Up! Designer Series Paper Shares again this year. Get a nice selection of the newest Designer Series Paper from the new Stampin' Up! 2019 Occasions Catalog for about a quarter of the price. Read all the details below and contact me to reserve your Paper Share. And as an added bonus, I'll also throw in 6" x 6" samples of the new Botanical Butterfly Designer Paper from the Sale-a-Bration Brochure. It's soft, pretty colors on one side and dynamic black and white on the other side. My reserved Paper Shares will include all the Designer Papers listed below. I will order the paper then divide and cut all papers into 6" x 6" pieces for each share. Then I will label and package and mail Priority Mail to your house. And tada! You have a lovely selection of paper (82 sheets of 6" x 6" paper to be exact plus 12 bonus sheets) for about 1/4 of the price. It's as easy as that. Scroll down for all the details. Note: If you don't have a Paypal account, you can pay the Paypal invoice with your credit or debit card. January 2, 2019: Deadline to pay. I'll send Paypal invoices for Paper Shares as each group of 4 fills up. January 3, 2019: I'll place an order for all the lovely Designer Paper from Stampin' Up! for all paid shares. January 10-17, 2019: All paper will be cut, divided and packaged for mailing. January 18, 2019: If there are no backorders, your shares will be mailed flat rate priority mail. Note: If you are local and would like to save the $6.70 priority shipping cost you may pick up your shares. Feel free to contact me robin@stampingcountry.com if you have any questions. Would you like to have a nice selection of the newest Designer Series Paper from the new Stampin' Up! Annual Catalog for about a quarter of the price? Paper Shares are the answer. My reserved Paper Shares will include all the Designer Papers listed below. I will order the paper then divide and cut all papers into 6" x 6" pieces for each share. Then I will label and package and mail Priority Mail to your house. And tada! You have a lovely selection of paper (178 sheets of 6" x 6" paper to be exact) for about 1/4 of the price. It's as easy as that. Scroll down for all the details. Paper Shares will not include the Graceful Glass Vellum or the Delightfully Detailed Laser Cuts Papers because they would be difficult to cut into 6" x 6" squares. I included just the new 2018-2020 In Color Designer Series Paper Pack to give you a nice sampling of this style in the newest In Colors, but did not include the 2017-2019 In Colors, the Brights, the Regals, the Subtles or the Neutrals Packs. May 25-31: I'll send Paypal invoices for Paper Shares as each group of 4 fills up. June 1: I'll place an order for all the lovely Designer Paper from Stampin' Up! for all paid shares. June 8-14: All paper will be cut, divided and packaged for mailing. June 15: If there are no backorders, your shares will be mailed flat rate priority mail. Note: If you are local and would like to save the $6.70 priority shipping cost you may pick up your shares. Tags: 2018-2019 Annual Catalog, Paper Shares, Stampin' Up!